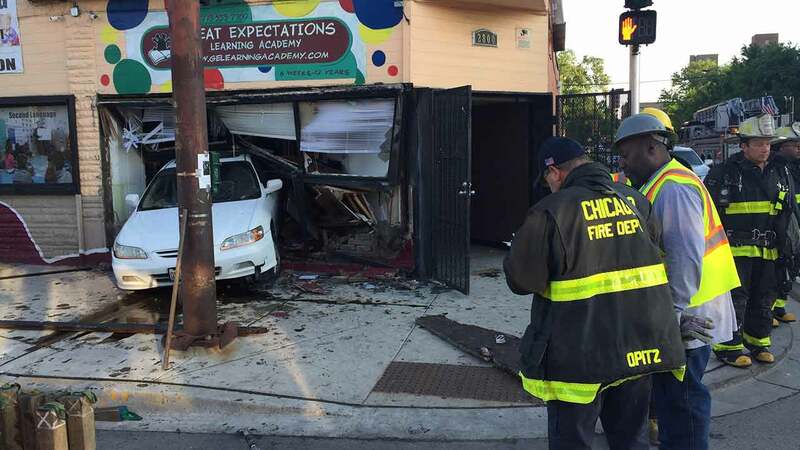 A car crashed into a daycare in the North Lawndale neighborhood Saturday morning. 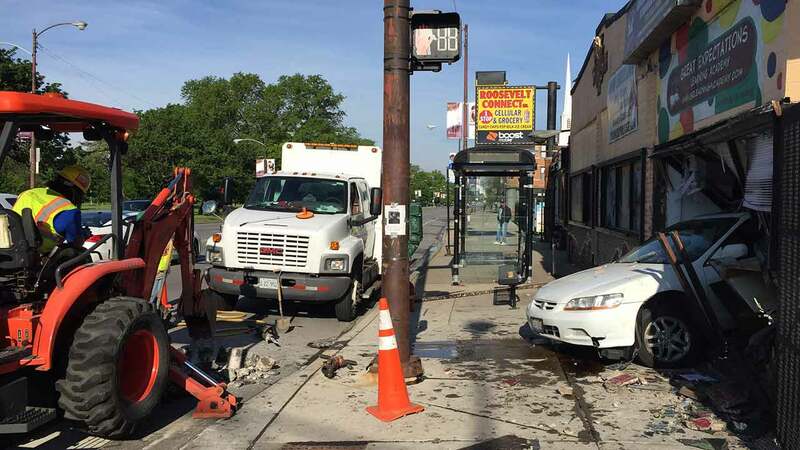 CHICAGO (WLS) -- A car plowed into a daycare after hitting a gas meter in the North Lawndale neighborhood Saturday morning, Chicago Fire Department officials said. The crash occurred in the 1100-block of South California Avenue at about 6 a.m., fire officials said. The crash caused a gas leak and a level one hazmat. Fire officials said no one suffered major injuries.